To celebrate My Friend Munster becoming a ModCloth affiliate, I've decided to do a special Wishlist Wednesday, featuring my absolute favourite ModCloth pieces! 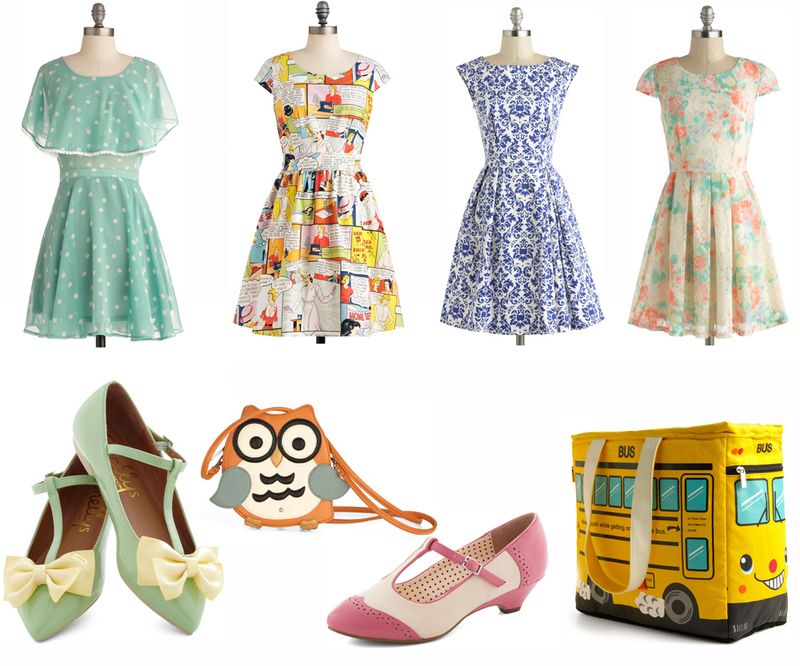 I'm a ModCloth fiend, and could probably drop a few thousand dollars in a single session if I had the means. There are so many fashion gems buried in that website, I spend hours just browsing, my loves list is about five pages long - this is only a fraction of it ! I honestly think there's something for everything on ModCloth, so make sure you go for a browse if you haven't already! They've also adjusted their price on shipping to Australia, and that's a win win for everyone. they're gorgeous aren't they ? i hope you find something perfect !